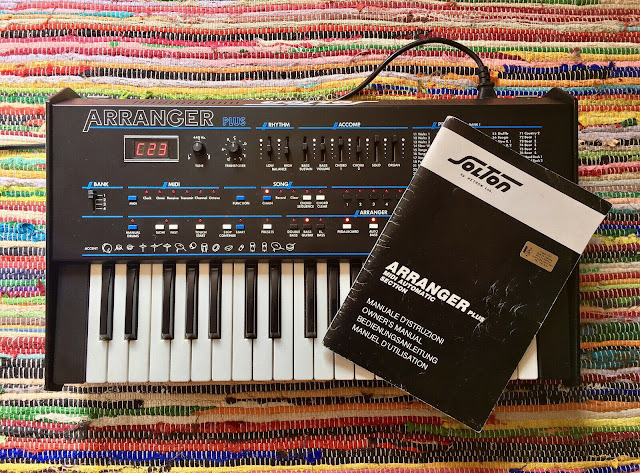 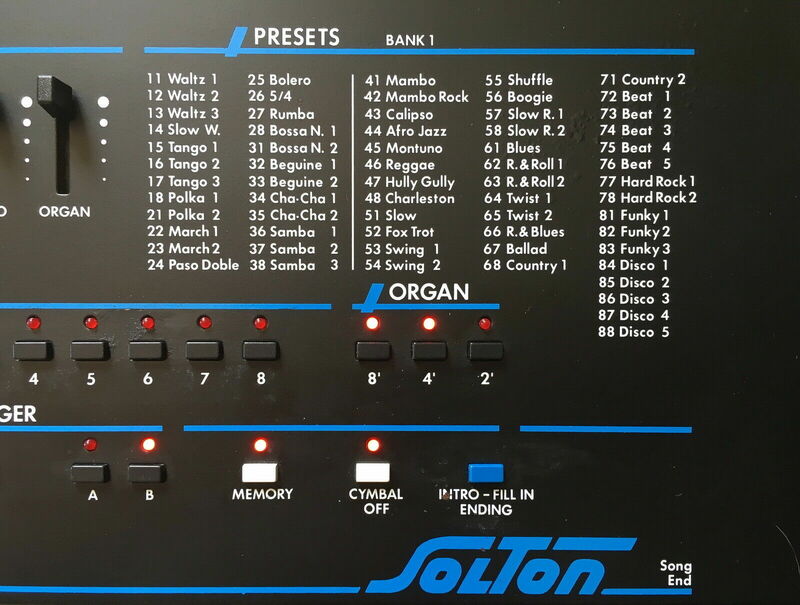 "Very quick demo of the Solton ARRANGER PLUS i put up to auction on ebay. Forgive the poor audio quality and performance of this video. 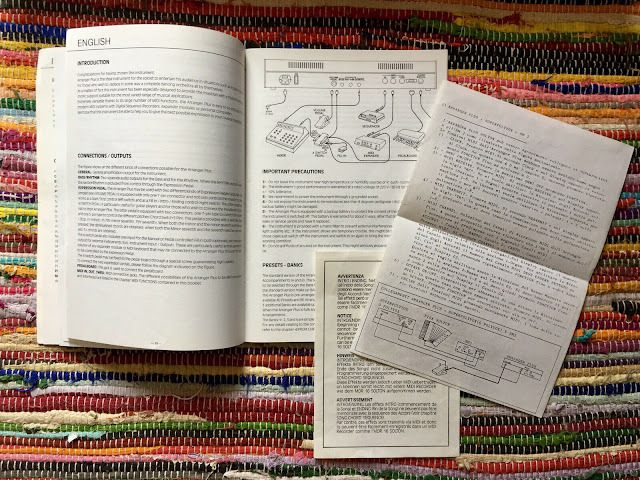 It is solely intended to demonstrate the unit is running fine and to get you an idea of what you can achieve with this unit." 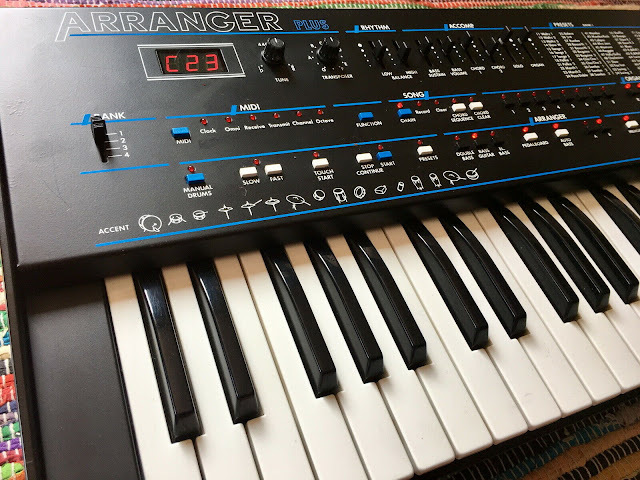 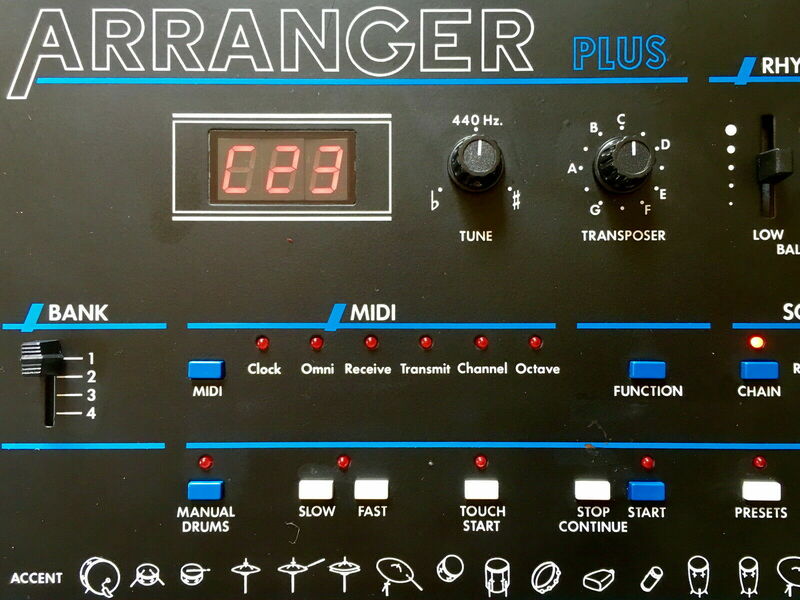 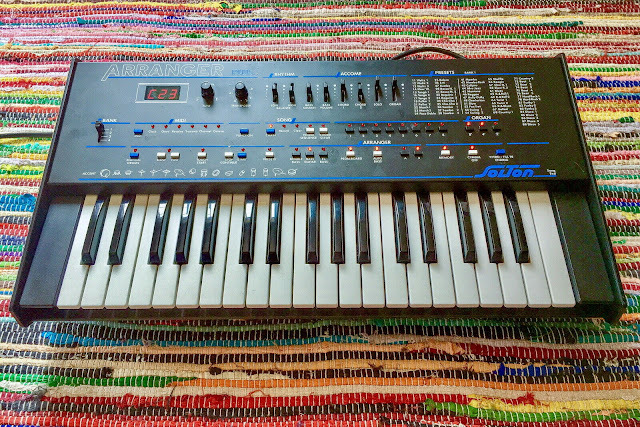 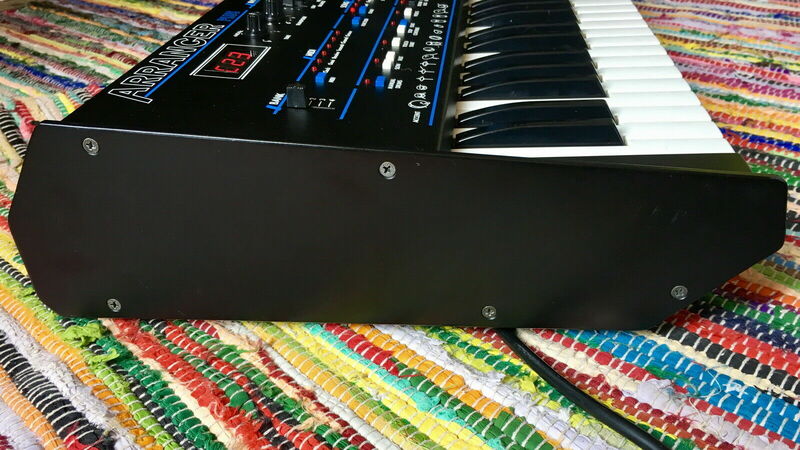 "Here is a vintage 80s arranger. 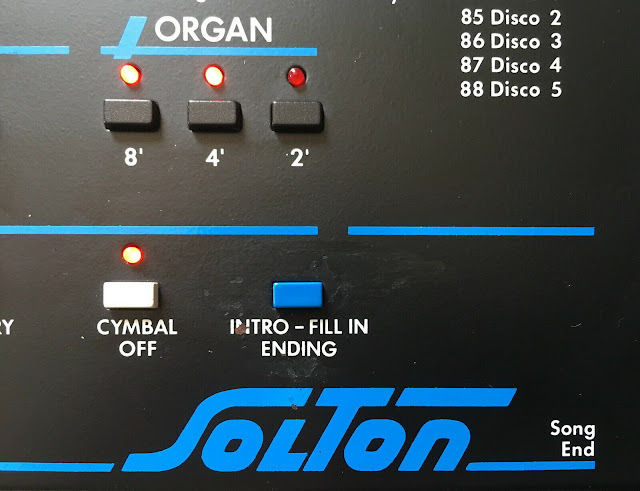 Small brother of the cult SOLTON PROGRAMMER 24 / 24S arranger. 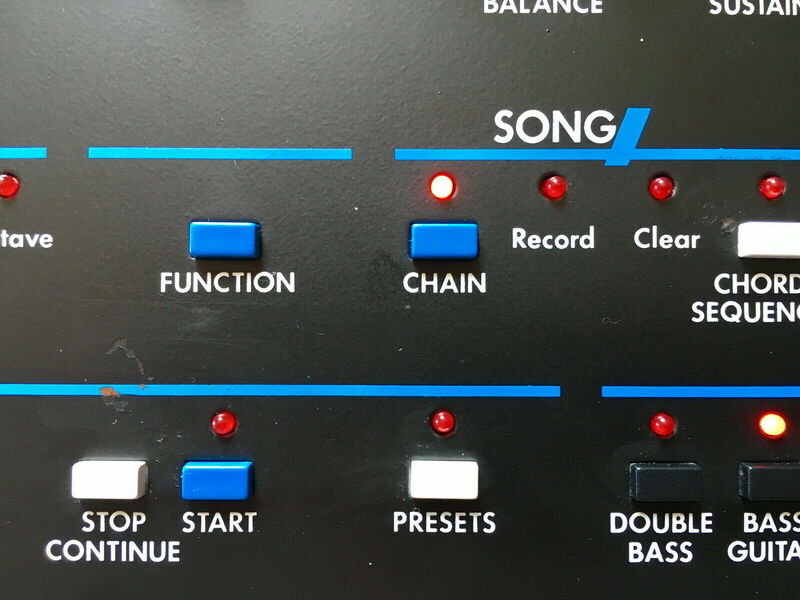 They share the same audio engine but this one lacks themore advanced editing possibilities. To those who are into Italo Disco music they know these machine rule ! 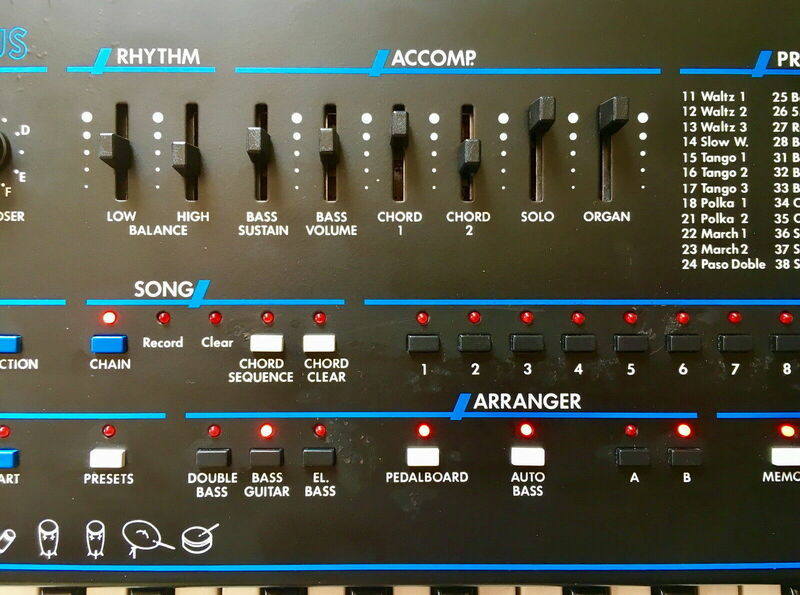 Consisting of a rhythm unit (digital 8bit PCM samples very like the LinnDrum, Oberheim DMX, Sequential Circuits Drumtraks etc) and a analog synth engine made of: 1 bass sound, 2 "chords" tracks, 1 "solo" track and 1 organ track. I just recently cleaned and serviced it. It works perfectly. I replaced the dead battery with a new one, and used a battery holder instead of the original solder-on type. 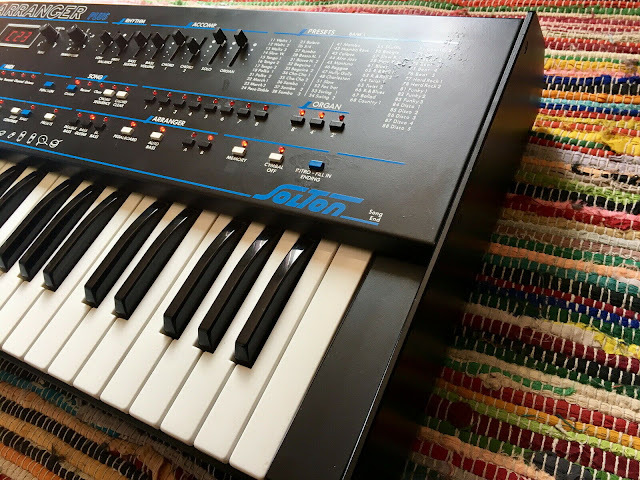 Condition est quite good. 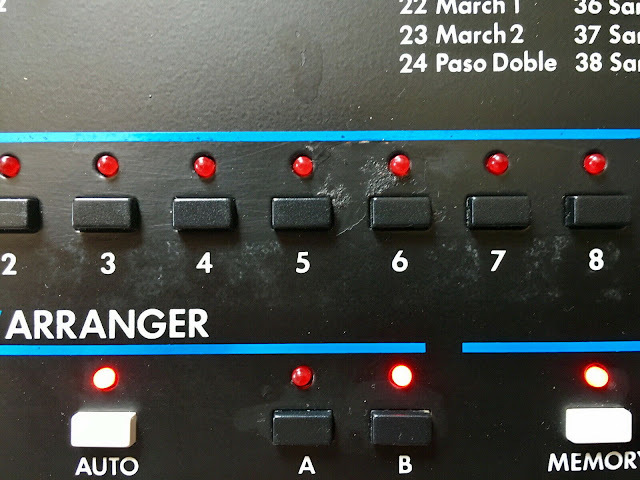 Front plate paint does show some scuffs and scratches and fainted part but as a whole it does look very nice. See pictures and judge for yourself. The keyboard comes with its rare original manual (italian, english, french and german). I made a video of this very same unit, to prove its working condition and get you some idea about the possibilities of the keyboard."